If you’re looking for high quality and personal service, you’ve come to the right place. At Koopman Concrete Inc. we’ll give you the attention and personal service you’ll come to expect and enjoy. We offer the best concrete in Residential Flatwork & Light Commercial. Koopman Concrete Inc. has been in business since 1997. Let us put our experience to work for you. Serving the greater areas of Allegan, Dorr, Hamilton, Hopkins, Otsego, Plainwell and Wayland. 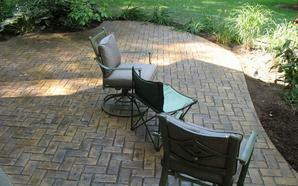 We are dedicated to serving others by providing quality concrete work at an honest price.